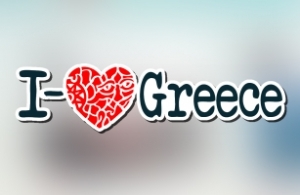 I-lovegreece.com, a large portal based in Athens, wanted to increase its brand presence on Facebook. They trusted intros.gr for the design and development of a Facebook Application. A Photo contest FB Application, launching the fan page of i–lovegreece.com, was decided. We wanted not only to generate buzz around the services on Facebook but also increase the spreadability of the website and fan page along with the brand. The main idea wat to create a fun, simple, inspired and user oriented FB application, matching the needs of the client and the target group of the brand. The application asked users to upload up to 5 photos from all over Greece. Then, they had to invite their friends to participate in the competition as well and to vote for the best uploaded photo. The winning photos were the ones with the out most votes. Over the course of the one week of competition we accomplished extreme spreadability, by reaching, from 0 visitors, to over 2600 users liking the fan page, and over 920,000 becoming friends and followers of the brand. The percentage of incoming fans and friends raised over 2000% and the weekly total reach over 700%. That's an evidence that such competitions or facebook applications increase the spreadability of the fan page in Facebook and of the website as well. Through such competitions, companies can increase the target group of potential customers and potential sales. In intros.gr we believe that neither the design and development, nor the cost of such applications in Facebook should be an obsacle to company's growth. We have the knowledge, the experience and the technology to implement any idea, as difficult as it may seem.